The Cincinnati Police Department’s LGBT Liaison Angela Vance has come under fire for a recently published, intra-office newsletter condemning social conservatives who don’t support the queer community. Included within the 9-page newsletter were excerpts from a Huffington Post article written by Brynn Tannehill entitled “Not One More.” The piece focused on the role that homophobic, conservative religious culture played in the death of Leelah Alcorn. "If you belong to a religion that denies transgender identities and put money in the collection plate or pay your 10-percent tithe, you are bankrolling the slaughter of innocents,” the piece reads. “You can claim you love LGBT people all day, but as long as you're footing the bill for propaganda that's literally killing children, you are an accessory." 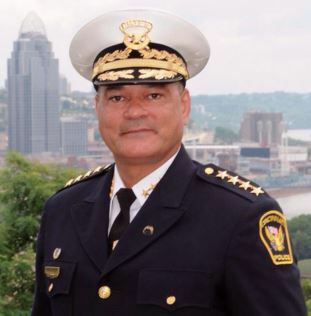 Police Chief Jeffrey Blackwell received a number of complains from Cincinnati police officers in regards to the newsletter, prompting him to get in contact with City Manager Harry Black and two police department directors. Going forward, Blackwell explained, the language within the police department’s newsletter will go through more careful editing and revision by more than one person. "It was a mistake of the mind, not the heart," Blackwell said, stating that Officer Vance would not be penalized and that the newsletter was mostly well received. "I've apologized because our quality of life and LGBT officers answer to me. We've vowed not to make the same mistake twice." "(Officer Vance) is an excellent officer. She has excellent human relations skills and she's very compassionate about what she does. We've addressed it accordingly. She's been verbally counseled and we've already moved past it."